4th of July on Anna Maria Island! The week of the 4th of July is always a fun and busy time on Anna Maria Island. It is a time to celebrate America, be with family and friends and enjoy the glorious beaches of Anna Maria Island. Duncan Real Estate is just about fully booked for the week of the 4th. If you are staying with us during the week of the 4th of July, you might enjoy some of the exciting activities that are going on all day/night. Start your day off with the Anna Maria Island Privateers 4th of July Parade. The parade begins at 10 AM on the south end of Anna Maria Island at Coquina Beach and covers the entire Island all the way to Bay Front Park. It typically last two hours and is a really fun time – for both kids and adults. Make sure to wear your red, white and blue and sunscreen too! Immediately following the parade, Picnic in the Park starts at Bayfront Park on the north end of Anna Maria Island. This picnic is free and will serve hot dogs, chip and drinks – it is free to all so make sure to come out! The kids can play on the playground while you enjoy taking a swim in the water. Bayfront Park offers plenty of shade and tables to enjoy a family picnic. Duncan Real Estate is right up the street from Bayfront Park – stop by and say hello to us. After your belly is full from the picnic, it may be time for you to sit and relax on the beach. Isn’t that why you are here on vacation! The white sands, crystal clear gulf water and a breeze that is hard to beat is all the more reason to take your family out to the beach and just enjoy all of it. Once the sun goes down and hopefully you have enjoyed the one of a kind Anna Maria Island sunset, stay at the beach as you will see the sky light up from the fireworks! The Sandbar Restaurant host the annual fireworks and puts on a wonderful show. You really can be sitting anywhere on the beach to enjoy them. The Sandbar does offer a VIP ticket with dinner, drinks, and first class seats for the fireworks, just call them at 941-778-0444 to reserve yours. Plan your Summer AMI Vacation on Bradenton Beach! The kids are done with school and it is time for you to plan some fun summer trips! Why not put Anna Maria Island on your list on places to visit and have a AMI Vacation!? With 7 miles of beaches and endless things to do, AMI is the perfect spot for your summer vacation. Here at Duncan Real Estate we offer 100 vacation rentals for you to choose the perfect AMI Vacation. Island Blessings is a brand new vacation rental with Duncan Real Estate and offers up to six people a perfect AMI Vacation! This three bedroom / two bathroom private home is located in Bradenton Beach, one of the cities in Anna Maria Island. Bradenton Beach is on the south end of Anna Maria Island and besides the beach, there is much for you to choose from. You and your family could play a game of miniature golf at the Fish Hole and then enjoy some delicious ice cream at Joe’s East and Sweets! If you are super hungry after miniature golf and need some lunch, head down to the end of Bridge Street to AMOB Pier. Kids eat for a penny an inch which a fabulous deal and they serve breakfast, lunch and dinner at the Pier! Enjoy many of meals while enjoying the water views and dolphin sightings while on your AMI Vacation! Bridge Street in Bradenton Beach also offers shopping, dining, live music, and tours of the island by Segs by the Sea! Your options are endless. 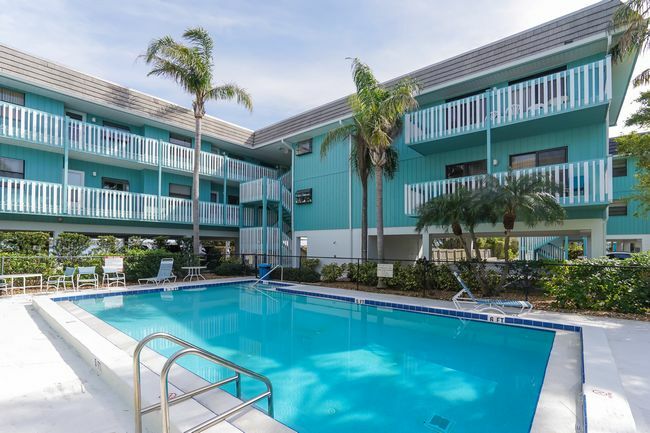 After a day on Bridge Street, head back to Island Blessings and enjoy a dip in the heated pool or relax in the jacuzzi while sipping on a glass of wine. The kids would enjoy casting a fishing line from the private boat slip that Island Blessings offers to you while on your AMI Vacation! If you are super tired and just ready to settle down and cool off inside, Island Blessings has two family rooms with lots of seating and TVs to enjoy a movie or to catch up on the news. A full day on Anna Maria Island calls for a great night sleep! You have a choice of three bedrooms at Island Blessings. The master bedroom has a queen size bed with a flat screen TV. The first guest bedroom has a full size bed and twin bunk beds. The second guest bedroom has a twin bed. Wake up and enjoy your morning coffee and breakfast in the newly updated kitchen or outside by the pool. Can you think of a better way to enjoy your AMI Vacation then views of the water first thing in the morning! Our team at Duncan Real Estate would be happy to answer any questions about Island Blessings you may have and to book your AMI Vacation! Just give us a call at 941-779-0304 and anyone on our rental team is ready to work with you! 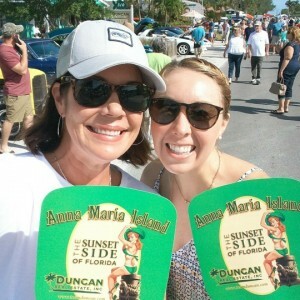 You can also check out other activities on Anna Maria Island on our website – www.teamduncan.com We have a section on our site that tells you the many things to do while on your AMI Vacation! 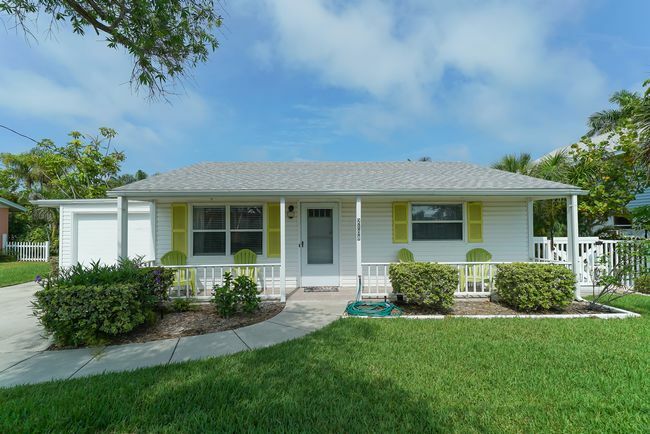 Bay Watch – Bradenton Beach Vacation Rental that Can’t be Beat! 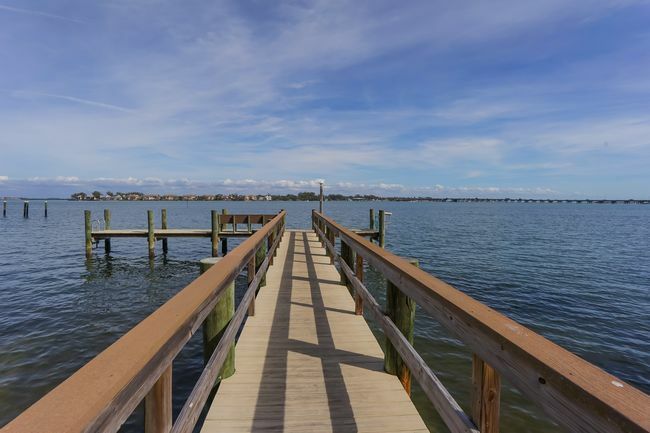 The views from Baywatch are just one of the many amenities this Bradenton Beach vacation rental has to offer! 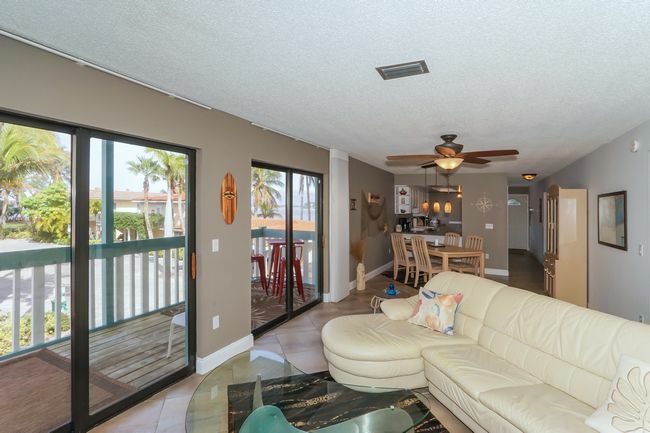 A cozy 2 bedroom/2 bath condo in Bradenton Beach that sleeps up to 5 people. You will enjoy views from the kitchen, dining room, and living room. Step out onto the covered porch and sip your morning coffee while watching the sunrise over the bay. You can also enjoy peeks of the Gulf of Mexico from the porch off the living room. When you arrive at Baywatch, you enter into a bright hallway with the eat in kitchen to your right. The kitchen is very well equipped and you will want for nothing. You can also have a more formal meal in the dining room while enjoying the views of the sparkling waters! Rest and relax in the open living room after a day at the beach or a stroll during sunset. The master bedroom offers a king size bed with an en suite bathroom. Baywatch also has a second bedroom with a queen bed and 1 twin for the family of 5. 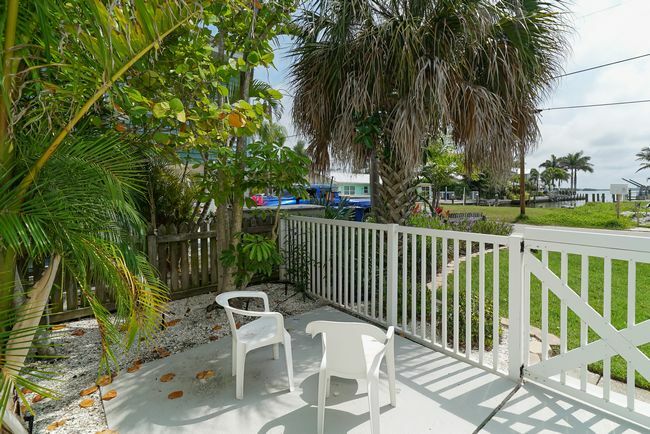 This Bradenton Beach vacation rental can sleep up to 5 people very comfortably. During your stay, you have a washer and dryer available for your use so that you can wash all of the sand off of towels and bathing suites. Want to fish, take a dip in the pool, walk to the beach or shop for local flare? 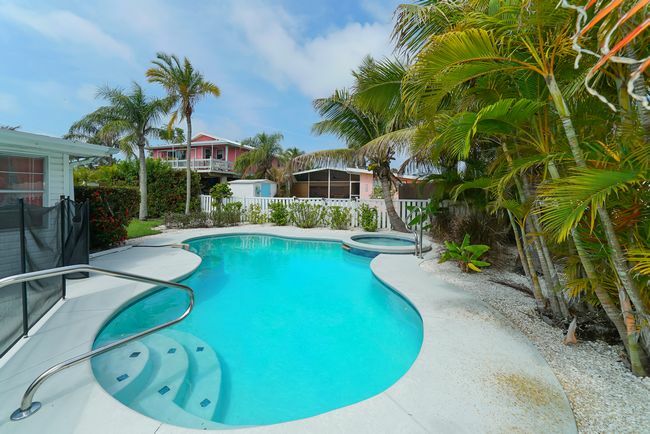 Baywatch is the perfect Bradenton Beach vacation rental for you! You literally can walk to anything you would need from Baywatch. The beach is 3 houses away, the pier to fish off of is just steps away from your front door and the pool is just down the steps. Bridge Street is just south of you in Bradenton Beach filled with shops, restaurants and fun bars to enjoy the island lifestyle. If you are tired from a long day at the beach, you can use the free island trolley to get you to Bridge Street for an evening of entertainment. Here come the food trucks on Anna Maria Island! There will be plenty of opportunities for shopping as well, showcasing vendor booths with unique, one-of-a-king items from jewelry, local artists’ works, collectible items and much more. A Kids Zone with all kinds of fun games, bounce houses and more for the young ones to enjoy will be set up. The festival will also feature an amazing car show, The Bill Mergens Memorial Car Show, with over 100 classic, antique, custom and muscle cars on display from 10am until 3pm. And of course, the stars of the show, a variety of Food Trucks serving delectable eats and treats. There is sure to be something for everyone. Refreshing adult beverages will be available – from wine, margaritas, rum runners and cold beer to soft drinks and water to wet your whistle. 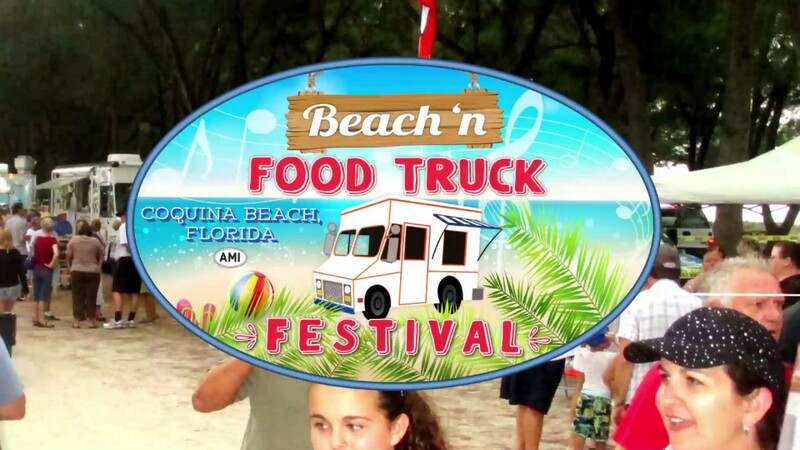 The food trucks on Anna Maria Island will be ready to serve you! This is an entrance free, family friendly, community event open to all to enjoy. Parking is available on Coquina Beach. You can also park in other locations further away along Bradenton Beach, Manatee Public Beach, etc. and ride the free trolley to the event. The Island Monkey Bus is another option to leave the driving to someone else and not have to worry about parking. Traffic to the island gets heavy during season after 10am, so plan to come early to enjoy all the festivities. The Anna Maria Island Chamber of Commerce sponsors this event. For more information, call the Chamber at 941-778-3986. Team Duncan looks forward to seeing you this Saturday!! Let us be your spirit-ual guide on this journey to catch a good buzz while on vacation. From dollar beers to bogo mai tais we’ve got you covered on all things happy hour. 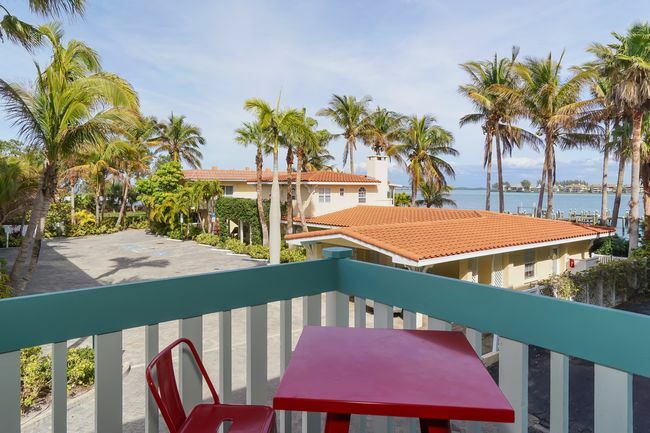 Finding a vacation rental on Anna Maria Island for Easter weekend can be a hard enough task, finding a place to drink shouldn’t be. For transportation, we suggest using the trolley and doing the local trolley crawl or calling the monkey bus. Beach cruisers are a great way to get around but after a few cold ones with the boys we don’t condone it. Catching a shark, getting a nice tan, or finding the love of your life in the back corner of Bortell’s lounge are things to brag about, getting a B.U.I. (Biking While Under the Influence) isn’t one of them. Duffy’s Tavern is our go to for cheap beer, great burgers, and an amazing atmosphere. Closed Tuesday. A no-frills place where you order at the bar and bus your table. The beer is $1.50 for a mug or $9 for a pitcher. This spot caters to locals and travelers alike so expect it to be bustling. From there, head North on the trolley to Harry’s bar and grill. They have a special called “Harry Hour” from 3-5 with drinks specials and live music. Tuesday night is karaoke night so if you’re feeling adventurous and feel that your singing in showers have paid off then come on down. Please call our office in advance so we don’t make the mistake of coming while you’re down there belting your heart out to Seal’s “Kiss from a Rose”. After a few drinks at Harry’s take a dive across the street at Bortell’s lounge. No clear happy hour but the drinks are cheap and the pool tables make this local hangout a box to check on our list. This is a bar, no food so make sure you eat at Harry’s or Duffy’s before or just stick with the liquid bread. Remember this is a marathon, not a sprint. Sunset is approaching and there’s no better place to catch the sun set over the Gulf of Mexico than the Sandbar and Beach House restaurants. The Sandbar is a stone throw away from Bortell’s and the frozen drinks are on point. While watching the sunset try and see the “green flash”. According to local legends, the green flash can be seen when the top of the sun is level with the Gulf of Mexico and right when it descends below the sea, a green flash is emitted. Let us know if you see it, we’re still waiting for our chance. The sun has set and if you played your cards right you can continue on into the night. Bridge street is where the action is at night with various bars and restaurants. Island time and Blue Marlin have the live music, Drift-in and Sports lounge are the more dive bar scenes. If you don’t fancy a trip down to Bradenton Beach we suggest you hit up the Freckled Fin, the Doctor’s Office, Hurricane Hanks, or Decoy Duck’s. All of these bars are located in or around the Holmes Beach Shopping Center. Now we can’t guarantee the drinks will be cheap after 8pm but these spots are a great time that is usually filled with live music. We hope this guide has helped you in your task of finding a place to catch a cool buzz while on vacation just like Jeff Spicoli would have intended. Don’t forget, tipping is more than just a city in China. Tip your bartender!!! “Fans” of Duncan Real Estate! Bayfest on Pine Ave was a blast last Saturday! The Anna Maria Island Chamber of Commerce staff and volunteers were out on Pine Ave setting up before the sun came up – glad I didn’t have to be out there that early! We made our vacation rental guest aware of the event earlier in the week and also gave them a Bayfest 2017 booklet when the arrived! We love to take great care of our vacation rental guest and keep them informed of all the fun events going on on Anna Maria Island! A group of us from Duncan Real Estate met at the office at 10:30, made mimosas and headed out to the crowd to hand out Duncan Real Estate fans! When we first started, there was an excellent breeze. It was so pleasant to walk Pine Ave and see all of the fancy vehicles in the car show, over 80 vendors set up with cool items, food vendors that made the street smell so yummy and the big band stage at the very end of Pine Ave. I was nervous as folks didn’t really need a fan to keep them cool because the weather was so nice. BUT, about 30 minutes later, the breeze died down and the heat started to set in. Good thing for us as the fans became a huge hit! We handed out 500 fans in about an hour and a half. Note to self for next years order – order at least 1,000 as the Bayfest goes until 9:00 PM and I am sure many more folks would have loved to been a “fan” of Duncan Real Estate in the middle of the afternoon! A big thank you to the Anna Maria Island Chamber of Commerce! They always do such a fantastic job on this event and it runs so smoothly. We truly live in paradise with not only the best gulf beaches and sunsets but so many fun things to do on Anna Maria! Team Duncan is looking forward to Bayfest 2018! Bayfest 2017 is this week Saturday! Bayfest is Anna Maria Islands largest and longest running festival! A family friendly all day street festival on Pine Ave featuring live music, unique and one of a kind arts and crafts vendors, tasty eats from local food vendors, a fun kids zone, and an amazing classic car show (car show 10am-3pm). Beer trucks and other adult beverages – fun for everyone! No admission fee! Here is all the info about this highly anticipated event on October 21st! 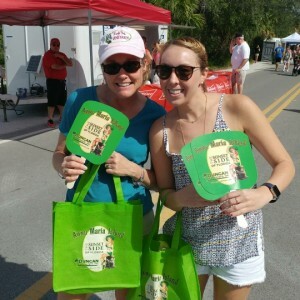 Bring your family and friends and enjoy a fun filled day on Pine Avenue in the City of Anna Maria! An all day street festival filled with fun for the whole family! There is no admission charge! Over 100 classic, antique, custom, muscle cars and street rods will be on display. to the City Pier at the end of Pine Avenue. parking is permitted, park with all four tires off the roadway and sidewalks, and with the direction of traffic. The best part about Bayfest is that is happens right outside of our front door on Pine Ave! Team Duncan will be out and about at Bayfest passing out Duncan Real Estate fans to help keep you cool. Yes, our office will be open and we would love for you to stop by and say hello. 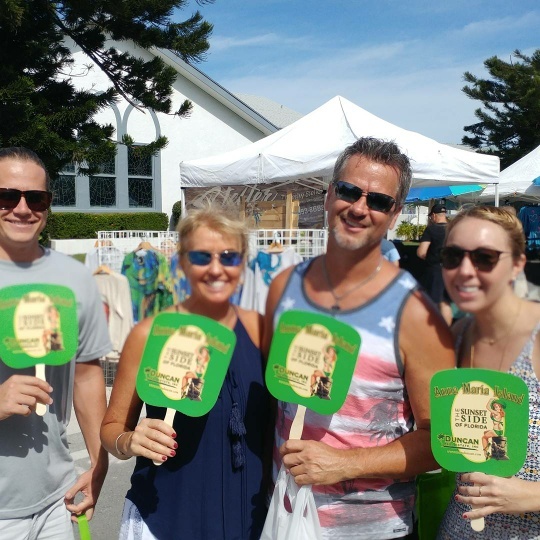 We look forward to seeing you on Saturday for another fun event on Anna Maria Island! Upcoming event on Bridge Street! Anna Maria Island is such a great place to vacation or live! It seems like every week there is something fun going on for visitors and residents to enjoy. 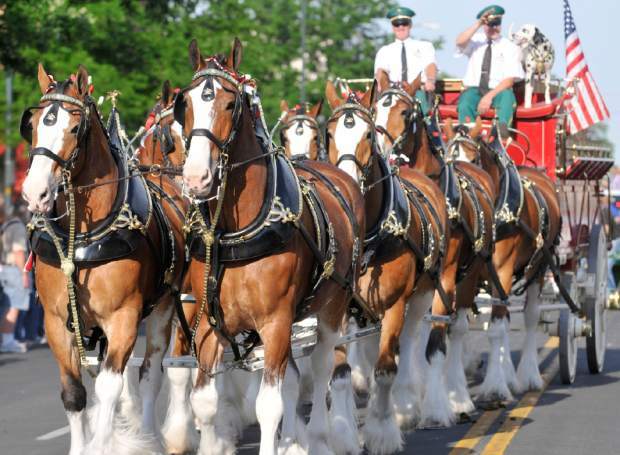 I am super excited about the Budweiser Clydesdales coming to Bridge Street on Bradenton Beach this Saturday, October 14, 2017! The Clydesdales will be on Bridge Street from 5PM – 7PM on Saturday. They are going to make their way from Cortez Beach to Bridge Street, down to the AMOB Pier roundabout and back to Cortez Beach. This is a treat for Anna Maria Island as I do not know of a time when the Clydesdales were here. My plan is to enjoy a fun island cocktail at one of our local spots on Bridge Street before the horses get there and then making a dinner reservation at Blue Marlin after the event! My question to you is why not make a long weekend out of this event. October is a great time to visit Anna Maria Island as it is a slower time, vacation rentals are at the lowest rates, and the weather is starting to be just perfect! Duncan Real Estate is offering 15% off the majority of our vacation rentals during your stay in the month of October, so take advantage of this additional Duncan Deal. We would love for you to enjoy our fabulous island and also the fun event with the Clydesdales – give our office a call to book your awesome vacation rental! Blues, Brews and BBQ on Bridge Street! Friday Night Fun on Anna Maria Island! TGIF! There is always something fun going on out here on our 7 mile island. Tonight! 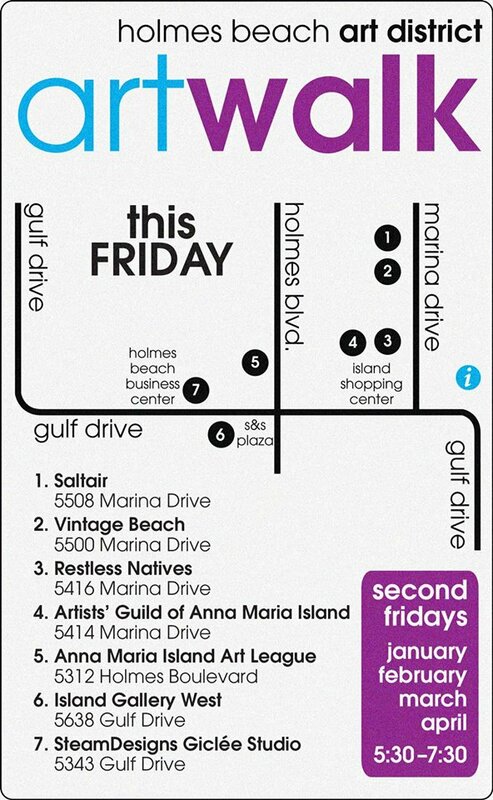 Friday, February 10th is the Holmes Beach Art Art Walk! 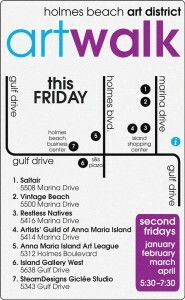 This takes place every month on the 2nd Friday of the month! If you are an art fan, you will not want to miss this event on Anna Maria! Actually, if you enjoy shopping at all, you want to make sure you will be there! Not only will there be cool artist and such, each of the businesses serves a snack too! SOLD!! Hope to see you there tonight!